Steeped in orders and contracts, the industry confronted the challenge in the last year of delivering on its commitments. 2007 BEGAN FILLED WITH PROMISE. Forecasts were for steady growth in civil helicopter markets over the next 5-10 years. Engine maker Honeywell predicted the market for new helicopters would jump 40 percent in the next four years. That optimism hardly faded. 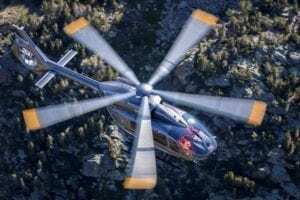 At the mid-year Paris Air Show, Eurocopter President and CEO Lutz Bertling said that manufacturer expected to log about 700 helicopter orders this year. Bertling, who took the helm of Eurocopter in November 2006, started his tenure and the year by voicing a warning at Heli-Expo in Orlando, Fla. With a backlog going into 2007 of $14.5 billion and a 50-percent jump in sales, Eurocopter faced the challenge of meeting delivery schedules without overheating its supply and production systems. Bertling cautioned against Eurocopter resting on its laurels as the dominant player in the civil helicopter market. "Feeling comfortable is the first step to losing." It was a warning that nearly every helicopter manufacturer had to heed over the last year. Having reaped a surge of orders since 2004, they now were challenged to deliver on the promises they’d made to civil and military customers around the world. It would prove to be a daunting challenge. Customers typically had immediate needs for the aircraft they’d ordered and little patience delivery delays. 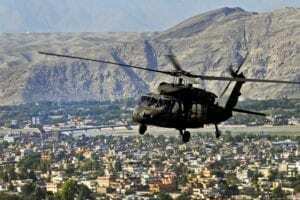 The U.S. Army’s aviation chief made that clear in March. Brig. Gen. Stephen Mundt, director of the Army Aviation Task Force, questioned the commitment of the U.S. industry in supporting the nation’s combat operations in Afghanistan and Iraq. Bell Helicopter became the poster child for aircraft development and delivery problems in 2007. It struggled to get the U.S. Marine Corps H-1 upgrade program for Cobras and Hueys back on schedule. 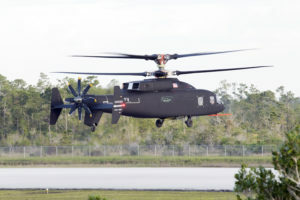 The U.S. Army’s showcase Armed Reconnaissance Helicopter program — intended to replace Bell OH-58Ds flying combat missions at a rate far above expectations — fell further behind schedule. Key problems involved integrating the target acquisition sensor system based on FLIR Systems’ BRITEStar 2 forward-looking infrared sensor and Rockwell Collins’ Common Avionics Architecture System. The Army wanted to field the first equipped unit of ARH-70As, later named the Arapaho, late next year. By year’s end, that milestone was not expected to be reached until the fourth quarter of 2010, more than two years late. Defense programs weren’t the sole source of Bell’s problems. It came to Heli-Expo in February with news that it was canceling its single-engine 417, launched just a year earlier, because it couldn’t deliver the aircraft at the performance/price combination customers wanted, and that it was stretching out its light-twin 429 program to better manage its risks. That pushed the schedule for certification and deliveries back a year, to late 2008. Bell wasn’t unique. 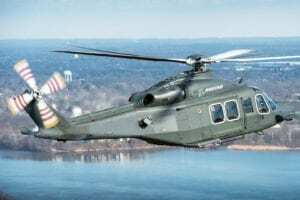 Customers across the globe complained about delivery delays for the NH90 developed by the NHIndustries team of Eurocopter, AgustaWestland, and Stork Aerospace. Development delays forced the U.S. Navy and the contractor team of Lockheed Martin, AgustaWestland, and Bell to restructure the program to field VH-71s, based on AW’s EH101 and intended as the next U.S. presidential helicopter. The restructuring still hadn’t been completed by mid-November. Development and deliveries weren’t the only problems. Reliability was an issue, as CHC Helicopter CEO Sylvain Allard said in March. He was "totally unhappy" with the provision of spares from Sikorsky Aircraft and AgustaWestland to support S-92s and AW139s, respectively. "Our customers want 95 percent availability," he said. CHC was getting 75-percent availability out of the aircraft types. The company had received a "full commitment from both manufacturers to get the parts in the short term." The industry wasn’t heads down, however. Significant efforts were being made to look ahead, particularly by finding ways to reduce the helicopter accident rate and lay the foundation for greater acceptance of rotorcraft (and for continued growth of the industry). 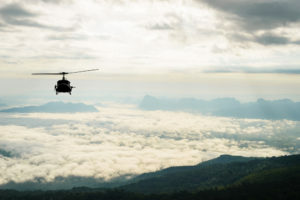 The International Helicopter Safety Team, launched after a 2005 global symposium and supported with remarkable investments of time, money, and labor from major manufacturers, completed analysis of a year’s worth of helicopter accidents. Team members sought consensus on root causes of those accidents, and their findings led them to call for adoption of seven measures they felt had the best prospect of boosting safety. These were: adoption of safety management systems, better involvement of the U.S. NTSB in accident investigations, renewed collection of flight hour data by the FAA, creation of a Web site to disseminate safety information, use of proximity-detection equipment, use of flight data and cockpit image recording devices, and development of a strategy for improving pilot decision-making. The team, whose goal is an 80-percent reduction in the accident rate by 2016, last year stood up a working group to focus on how to field those and other accident-mitigation measures. It is also backed by the Helicopter Assn. International, the FAA and Transport Canada. Similar efforts are under way in Australia, Europe, and Latin America and are planned for Asia and Africa. A key challenge the team facings is convincing smaller operators to embrace — and pay for — its recommendations. Many in the industry seemed to take that goal seriously. Eurocopter began developing a low-cost cockpit video and audio recording system for its aircraft that are not required to have crash-survivable cockpit voice recorders. Its American Eurocopter unit is pursuing a supplemental type certificate for the system, whose target price is about $2,000 a unit. The offshore operator Air Logistics teamed with Appareo Systems to develop and field a low-cost, lightweight flight data monitoring system for small and legacy aircraft. They gained an FAA supplemental type certificate for the system in August. Air Logistics is installing the system on its Bell 206s and 407s. Era Helicopters became the first Part 135 operator to gain FAA approval to conduct a flight operations quality assurance program, and STAT Medevac has won FAA approval to participate in an innovative safety initiative, the Aviation Safety Action Program, that shifts the regulator’s attention from enforcement actions to collaboration with the operator and its workers to address the cause of safety violations. Air Logistics’ parent Bristow Group went beyond the industry effort, launching a company-wide program to reduce all accidents — air, ground, and industrial — to zero. The program, backed by President and CEO Bill Chiles, is called Target Zero. Efforts also focused on high-visibility areas of concern. In May, the FAA and HAI convened an air-tour safety forum in Hawaii "to create a close working relationship with the local FAA Flight Standards District Office and air-tour operators," said HAI President Matt Zuccaro. Based on the success of that meeting, similar forums were planned for one in Las Vegas to cover air-tour operations over and around that city and the Grand Canyon, and possibly one in Alaska covering air tours there. Unmanned aerial vehicles continued to establish themselves as key players in rotorcraft markets, with rotary-wing ones making headway. Boeing’s A160 Hummingbird, using optimum-speed rotor technology, returned to flight test in November 2006 after a 15-month hiatus following a crash. Boeing fitting the aircraft with a turbine engine, and by year’s end it was flying 18 hr with a 300-lb payload. In January, a U.S. Army Apache pilot received live video from a Honeywell Micro Air Vehicle, which later was deployed to Iraq. On the civil side, the European Defence Agency plans to undertake a study to find an all-Europe approach for integrating UAVs in civil airspace. 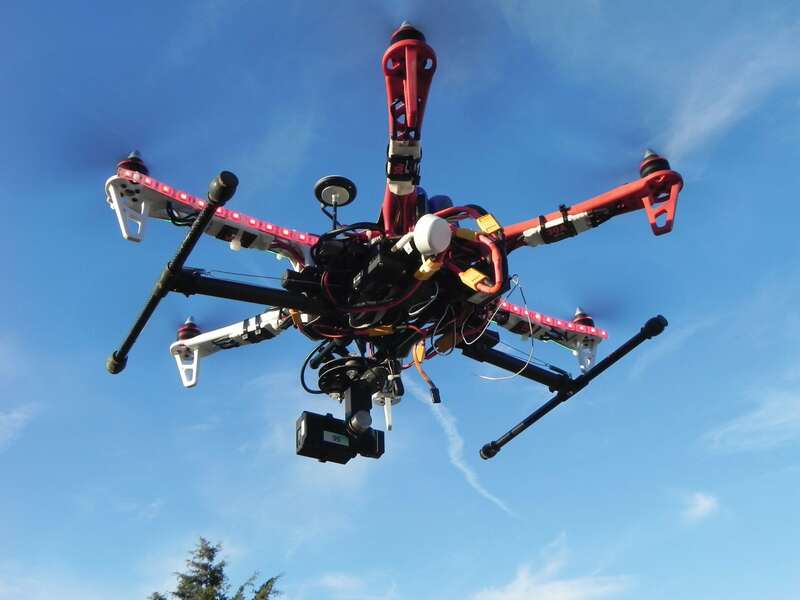 In the United States, the FAA Unmanned Aircraft Program Office is working on a five-year road map with the same goal. In a development with wide-ranging implications for the industry, the FAA picked ITT Corp. in August as prime contractor for the rollout of automatic dependent surveillance-broadcast (ADS-B) service in the United States. The $1.86 billion, 18-year contract would cover development, test and deployment of ADS-B in the Gulf of Mexico, Louisville, Ky., Philadelphia, and Juneau, Alaska. The Gulf of Mexico deployment is aimed, in part, at aiding the many helicopters that support offshore oil and gas facilities there, which currently operate with little or no air traffic, weather, or communications services for much of their flights. The FAA in October issued a long-anticipated notice of proposed rulemaking setting out performance requirements for the avionics needed to operate in an ADS-B flight regime. Aircraft must be equipped with either 1090ES transponders or universal access transceivers (UATs) conforming to Technical Standard Order C166a and C154b, respectively. On the world stage, the industry remained hopeful throughout the year that upcoming events in China would serve to loosen restraints on general aviation operations there. Industry representatives have been building relationships with officials in Beijing and major Chinese cities for several years. They are seizing the opportunity created by the need to provide security and transport critical personnel and VIPs during the 2008 summer Olympic Games in Beijing and the World Expo, or Universal Exhibition, in Shanghai in 2009. WAS 2007 THE DAWN OF THE ERA OF TRAINING? Certainly, the industry has seen phases before in which big operators, confronted by rising demand and a static or shrinking pilot supply, have expanded their training operations to ensure more than their share of that supply. Likewise, investors have been lured before by that dynamic to plow money into training organizations. Different now, however, are movements in the industry toward new foundations for pilot training. If those movements are completed, they are likely to drive increased demand for training services and equipment and the innovation of new training aids. Bristow Group kicked off the trend this year with word at Heli-Expo in February that it would acquire a number of flight schools, starting with Helicopter Adventures in Titusville, Fla. and Concord, Calif., which became the foundation for its revived Training Div. Bristow completed a second phase of that move last month by buying New Iberia, La.-based Vortex Helicopters. Bristow ordered a number of simulators and flight training devices over the last year, as did North Sea competitor Bond Offshore Helicopters, which also hired Oxford Aviation Training of Kidlington, Oxford, England to screen potential pilots through a series of tests and analyses. Those moves coincided with calls from sectors such as emergency medical services and law enforcement for more mission-specific, scenario-based training and greater access to inexpensive simulation-based training. At the same time, the International Helicopter Safety Team, charged with identifying means of reducing the industry accident rate 80 percent by 2016, focused in part on improved training. One recommendation: the industry should develop a strategy for improving pilot decision-making. Growing training needs attracted financiers, with the private-equity firm Eos Partners investing in Silver State Helicopters.